Following is a Free Profit and Loss Statement Template (Income Statement) which you can customize to suit your business, track your revenues, expenses, taxes, business ratios and chart year on year or month on month. The Profit and Loss Statement Template is provided in .xls (Excel) format. Included in the template is the Net Profit Margin ratio for tracking profit as a percentage of revenue, and a chart for visualizing changes over time. If you can’t find what you are looking for here, additional spreadsheet templates can be found at Business Spreadsheet Templates. 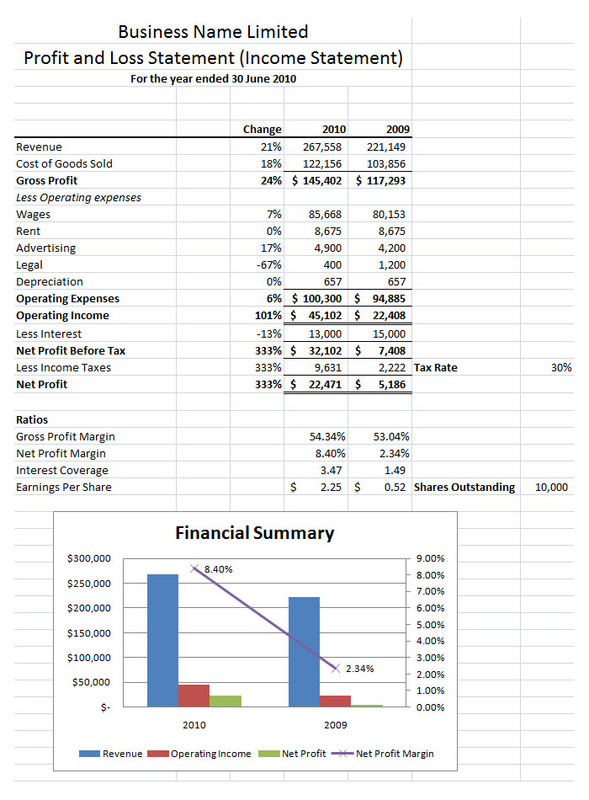 Following is a screenshot of the Profit and Loss Statement Template (Income Statement), click the thumbnail to download or download here.